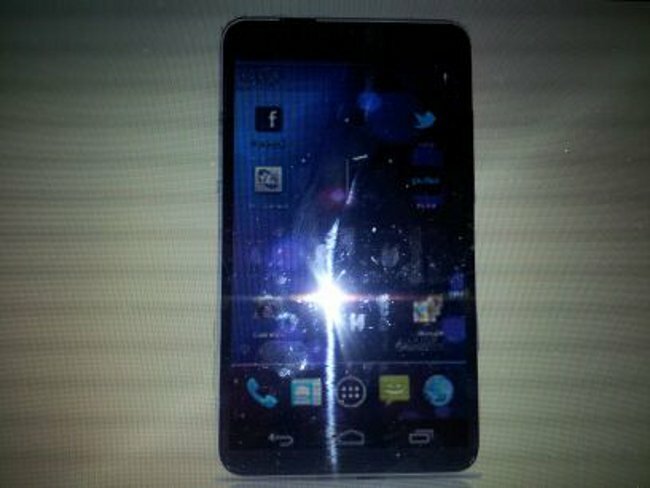 Could This Be A Leaked Photo Of The Samsung Galaxy S III? Now that Apple have announced their latest updated gadget to the world and the official release day has come and gone, the world can focus on getting back to a certain level of normality and focus on some other excellent up and coming products which don’t feature the famous Apple logo. Although the Apple iPhone and iPad are ridiculously popular products around the world, it isn’t just the iDevice gadgets that can cause a stir, with a load of attention being paid to the up and coming Samsung Galaxy S III. The next generation Galaxy S smartphone is currently surrounded in mystery with not a great deal known about the aesthetics or technical specification of the smartphone which is surely going to be a smash hit for the Korean electronics giants. In recent years, the original Galaxy S and S II have been some of the main competition for the iPhone and with the S III shipping soon, it seems that the trend of giving the iPhone a run for its money will continue. Samsung were originally set to provide the world with some details about the Galaxy S III at an event held during the Mobile World Congress which took place in Barcelona last month. However, if the rumor mill is to be believed, Samsung halted those plans in favor of delaying announcement of the Galaxy S III in favor of a more unified global launch later this year. A 4.7" HD display which houses a speaker grill and a front facing camera. Quad-core Exynos processor with a whopping 2GB of RAM. 8MM thick with a 2250mAh battery. A rear casing made from ceramic, which is a rumor we have previously heard. The option of what could be a dual launching system allowing users to choose from either a stock Ice Cream Sandwich installation or with the TouchWiz UI. As is always the case when it comes to reports of this nature, it really needs to be taken for what it is. The image itself is blurry and has been taken from a picture on a computer screen meaning the only things that can really be defined are the overall shape of the unit and the fact that it appears to be running an Android 4.0 installation. This indeed could be the new Samsung Galaxy S III handset, but on the other hand it could be someone leading us down the garden path. Let’s hope we get some clearer images in the near future being leaked.